Ceramic matrix composites (CMC) are a critical pathway on GE Aviation’s technology roadmap, and recent tests on a GEnx demonstrator engine with GE9X CMC components revealed our bets on this ultra-lightweight, heat-resistant material continue to pay off. CMCs comprise silicon carbide (SiC) ceramic fibers in a SiC matrix, enhanced by proprietary coatings. For more than 20 years, scientists at GE’s Global Research Centers (GRC) and GE’s industrial businesses worked to develop CMCs for commercial applications. With one-third the density of metal alloys, lightweight CMC components reduce an engine’s overall weight for improved fuel efficiency. CMC’s high-temperature properties greatly enhance engine performance, durability, and fuel economy. Since CMCs are far more heat resistant than metal alloys, they require less cooling air in the engine’s hot section. This air instead can be used in the engine flow path, enabling it to run more efficiently. The GE9X engine for the Boeing 777X aircraft will incorporate CMCs in the inner and outer combustor liners, HPT stage 1 shrouds and stage 1 and stage 2 nozzles. Besides CMC components, the GEnx CMC demonstrator engine validated non-CMC parts for the GE9X including the new 3D additive manufactured lightweight low-pressure turbine titanium aluminide (TiAl) blades produced at Avio Aero and the next-generation HPT stage 1 blades with advance cooling technology. The next-generation HPT blades utilize a proprietary process invented at GRC and industrialized at GE Aviation’s Cores & Castings facility in Dayton, OH. This novel process employs the most efficient cooling circuits ever produced, which result in significant fuel efficiency improvement over historical designs. CMC testing for the GE9X will continue. The GEnx demonstrator engine will be rebuilt with the same combustor liners, HPT stage 1 shrouds and HPT stage 2 nozzles, LPT TiAl blades and the next-gen HPT blades along with the addition of HPT stage 1 nozzles. 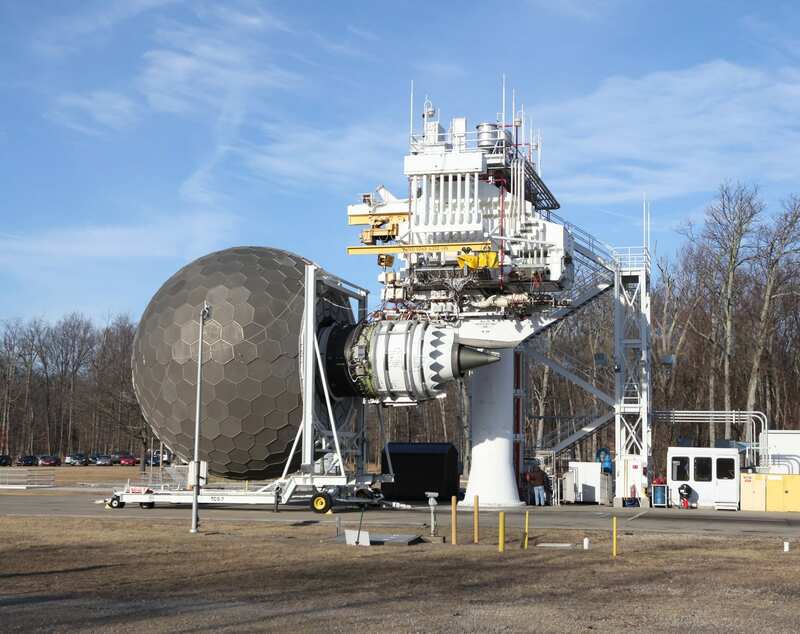 A GE9X core with CMC components in the combustor and HPT will begin testing this month. Learn more about the advanced materials and technologies that make the GE9X the world’s next great engine! Sign up for the weekly Bike Shop newsletter to get the latest and the greatest from GE Aviation.